Okay, so I’m being a little unkind in my review of American Assassin. 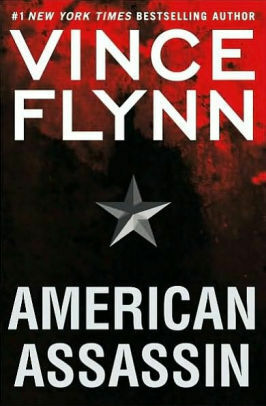 Flynn’s book is a pretty solid thriller with plenty of action. It avoids the common flaw of these sorts of thrillers by not painting the terrorists as one-dimensional zealots. Even the decidedly gauche flag-waving moments that any book with “American” in the title is obliged to have are well handled. As long as you accept the basic premise – that Rapp is awesome because everyone around him says so, despite Rapp himself being a rather bland character – you have a good time. But ultimately this book fails to actually put a character arc in for Rapp. College athlete turns into an assassin should involve some sort of an arc, but Rapp just kinda glides through. At some points, Rapp is even described as not pushing himself, because this gruelling training is just that easy for him. That makes American Assassin all feel a bit flat. *Think how many school shootings they’d be preventing if they were keeping an eye out for budding killers! **Which it kinda does. I don’t know what happens in later books in this series, but you’d have to conclude from this one that Rapp will be a loose cannon.